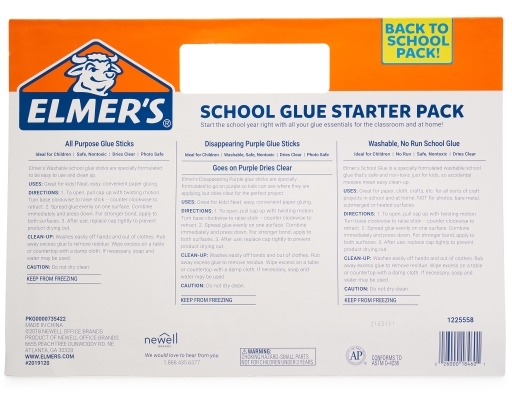 Start the school year right with all your glue essentials for the classroom and at home with the Elmer’s School Glue Starter Pack! 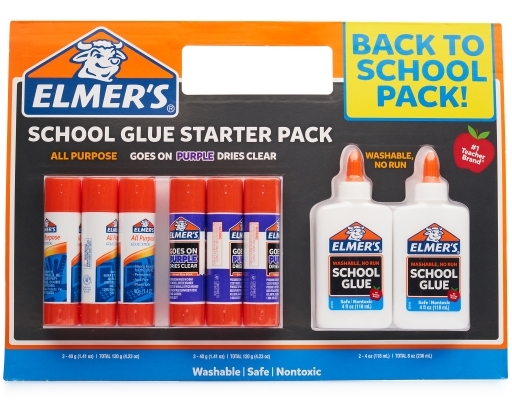 • All Purpose Glue Sticks (3 x 1.41 oz. ): Elmer’s Washable school glue sticks are specially formulated to be easy to use and clean up. • Disappearing Purple Glue Sticks (3 x 1.41 oz. ): Elmer’s Disappearing Purple glue sticks are especially formulated to go on purple so kids can see where they are applying, but dries clear for the perfect project. 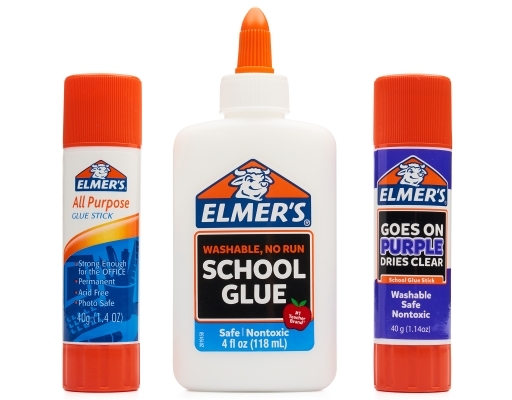 • Washable, No Run School Glue (2 x 4.0 oz. 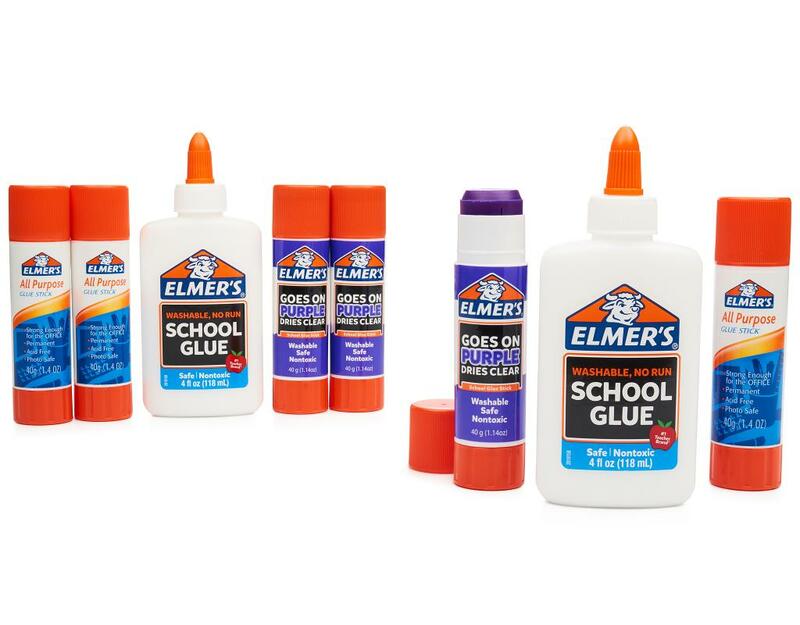 ): Elmer’s School Glue is a specially formulated washable school glue that’s safe and non-toxic just for kids, so accidental messes mean easy clean-up.